UC Librarians belonging to the University Council-American Federation of Teachers Union announced the ratification of a newly negotiated contract on April 1. The vote on the contract, known as a Memorandum of Understanding, yielded a 94 percent turnout rate, with,98 percent of participating members voting in support of ratification. Only a simple majority vote in favor of the MOU was needed for ratification. The main changes in the contract include increased salaries and academic freedom protection. The new contract promises an increase of 8.6 percent to the current salary for assistant and associate librarians and 5.6 percent for librarians. There is also a 3- percent salary increase for every year of the contract. Although UC-AFT is one of the smaller unions in the UC system, the contract will affect approximately 350 librarians statewide. UC-AFT represents approximately 40 librarians at UC San Diego. The previous five-year contract expired in September 2018, and the librarians were out of contract for six months until the ratification of the new five-year contract. “The university and UC-AFT worked collaboratively at the bargaining table to reach a contract that is fair to both sides and recognizes our librarians’ contributions and dedication,” Dwaine B. Duckett, vice president of UC Human Resources, said. UCSD librarians Laurel McPhee and Dominique Turnbow prepared the salary presentation and were instrumental throughout the contract’s negotiations. McPhee and Turnbow were later presented with an award for their salary presentation at a UC-AFT assembly meeting. 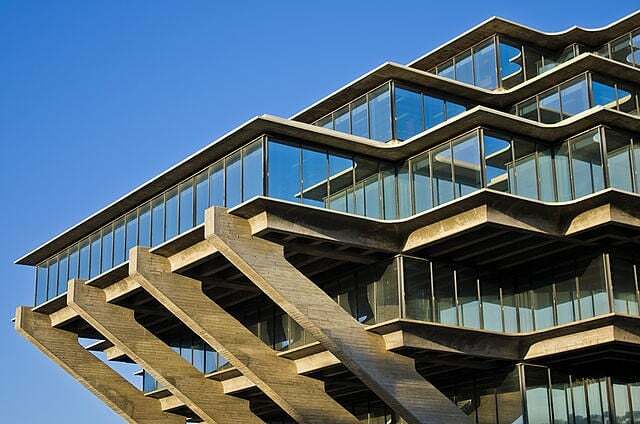 “Academic freedom and salary negotiations were what mattered most, to most voters,” Cristela Garcia-Spitz, a digital initiatives librarian at UCSD, told the UCSD Guardian. Another change made from the prior contract pertained to the distribution of professional development funding, which Professional development funding is allocated to every UC campus each year to fund conferences and presentations, as well as promote academic professional associations and research. The previous contract showed that between 2014 and 2017, UCLA received the most PD funding of $71,354, and UC Merced the least with $5,151 annually (UCSD $25,298). According to UC-AFT, this was unequally distributed and inadequate because the funding was directly based on the headcount of the librarians at each campus in 2014 and that number could have varied for each year after. UC-AFT has negotiated with UC Office of the President for PD allocation on a per capita basis. UC-AFT also proposed an academic freedom protection in the MOU, which was previously denied by UCOP. Under the pressure of union activism and public backlash, UCOP started a policy-making process to address academic freedom, which would give all academic appointees, including non-faculty academics, certain protections and the right to inquiry in their teaching and research. There is a mandatory 90-day review period after the policy released this week to ensure it is done properly, and the opportunity to change the academic freedom policy will remain for a month after the policy actually goes into place. Other modifications accomplished in the new contract include an earlier notification of job duty for transfers and reassigned staff, up to 30 days of accrued sick leave for baby bonding after childbearing or child adoption, and a more open staff evaluation and review. The new contract is active on April 1 and will stay valid until March 2024.